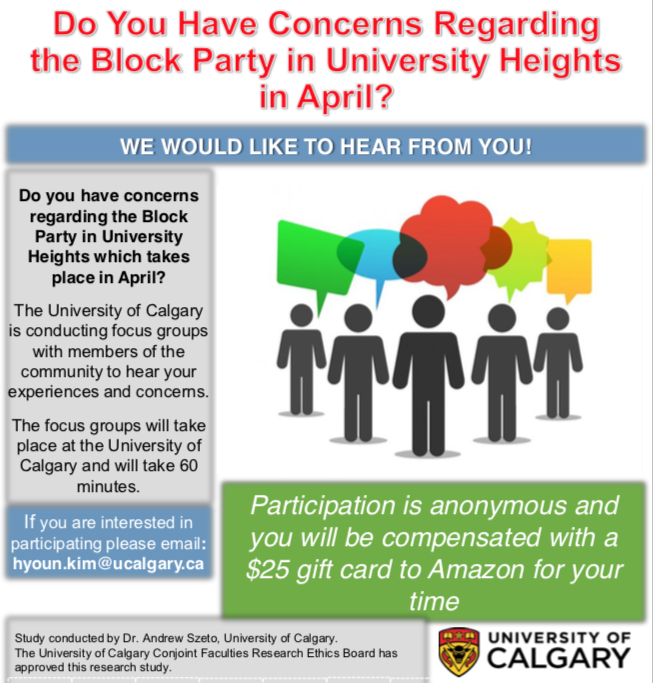 Do You Have Concerns Regarding the Block Party in University Heights in April? The University of Calgary is conducting focus groups with members of the community to hear your experiences and concerns. The focus groups will take place at the University of Calgary and will take 60 minutes. Participation is anonymous and you will be compensated with a $25 gift card to Amazon for your time. Study conducted by Dr. Andrew Szeto, University of Calgary. The University of Calgary Conjoint Faculties Research Ethics Board has approved this research study.